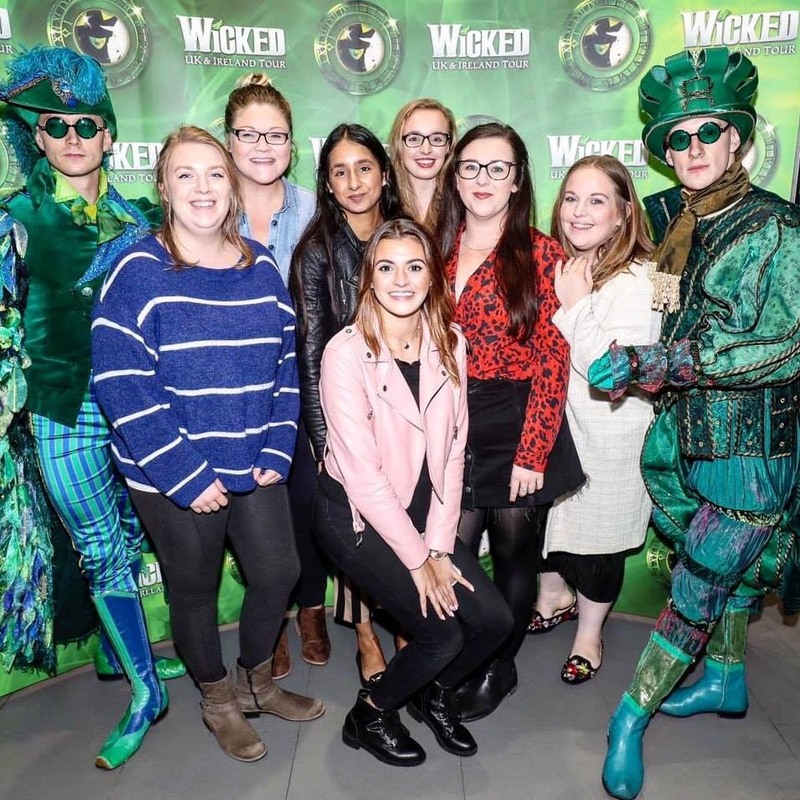 The Southampton Bloggers go to Wicked! My eyes lit up as the front of the Mayflower glowed a bright lime green announcing the arrival of Wicked as soon as we turned onto the street. Characters from the show greeted us at the entrance building our excitement ahead of the performance. There’s nothing quite like the anticipation of watching a new show and this visit came with the added bonus of seeing the theatre’s recent £7.5 million transformation. 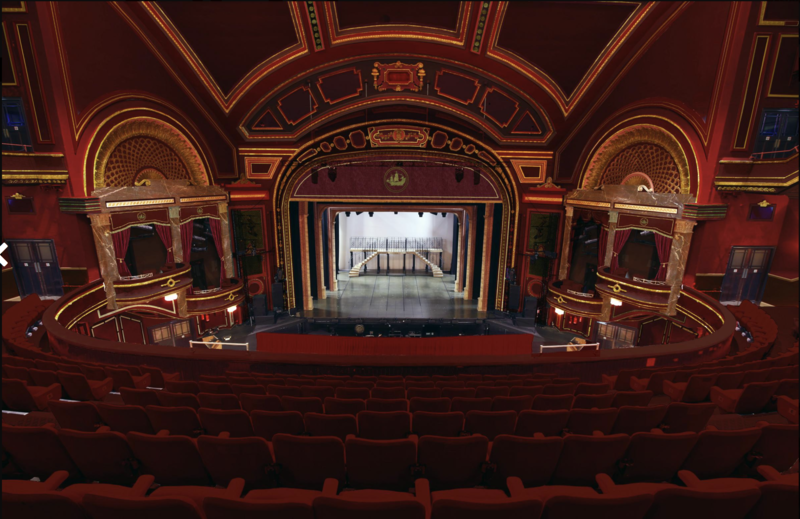 In June the theatre ‘went dark’, theatre speak for closing, for three months to undertake a significant refurbishment to the interior. The new look really has the wow factor! The walls are now a luxurious royal red with gold embellishments. Visually the new colours make a big impact, it’s a magnificent combination that has elevated the whole feel of the auditorium. The bold red is punctuated by night sky scenes in portholes on each side and a similar starry night sky painted in the dome above. There are little flourishes everywhere like the beautifully embellished gold letters that identify the seat rows. The theatre no longer looks tired, the lurid off green 70s interior and uncomfortable seating has gone. Actually, the previous seating was the worst bit. I wanted to go and see shows at the Mayflower but my long legs coupled with small seating made it uncomfortable and I would fidget endlessly. Plus it felt like you were sat on top of each other. When you’re spending a decent amount on a ticket, you want to be comfortable. You do not want to be thinking about when the interval will come so you can stand up and stretch your legs! Good news! The seats are bigger, I didn’t feel on top of the person next to me and there is slightly more leg room. As a result I could focus on enjoying the show, I fidgeted far less and my bottom didn’t hurt! Also, as the seats are a bit bigger there’s more room for my bag and coat under the seat. Having somewhere to stash your bag, especially in narrow rows when you’re up and down in your seat, is a bonus. Once safely seated a red eye dragon and Emerald City map drew the eye to the stage, it was time for the show to begin. If you’ve not seen Wicked perhaps skip this section. I had no idea what the story was about and, although I’m not going to say too much, I really enjoyed not knowing anything about the plot at all. Nothing in the next section ruins the plot or reveals any big plot twists – it just gives you a hint of what it’s all about! I’ve put a marker each side of this section so you can easily skip this section if you want to. 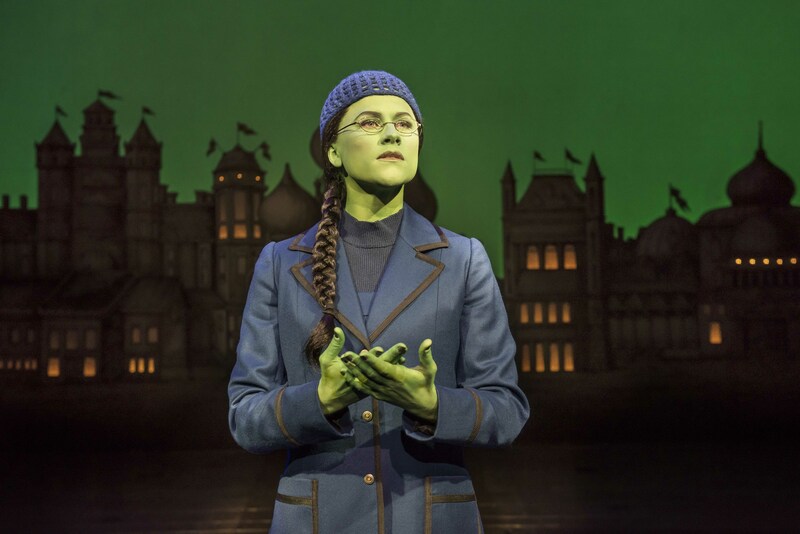 Wicked is based on Gregory Maguire’s 1995 novel ‘Wicked: The Life and Times of the Wicked Witch of the West’. Gregory creates a backstory to The Wizard of Oz and a parallel universe which explains the other side of the story. From the beginning the question underpinning this tale is “Are people born wicked or do they have wickedness thrust upon them?”. Good and evil concepts are played with, challenged, and weaved around other big themes like friendship, family, love and power. It also really poked at the concept of judgement too. The story focuses on a powerful female friendship and spans the time before, during and after that of The Wizard of Oz story we are all familiar with. Glinda and Elphaba, who become the good witch and wicked witch of the west, head off to university together and become unlikely friends. A series of events set the witches on different paths and there’s a couple of key moments, those ‘sliding doors’ moments, that change both lives forever. It’s fast and furious with incredible plot twists and revelations. It’s funny, sad and dramatic. When the curtain fell in the first half to the incredible ending of the song ‘Defying Gravity’ I had goosebumps and no idea how the second half would conclude. The ending was full of surprises and beautifully portrayed. Also, much to my delight, the story explains the tales behind the tin man, the scare crow and cowardly lion. It answers all those niggly questions and more! It’s safe to read on if you wanted to avoid information about the plot! A delicious half time treat! 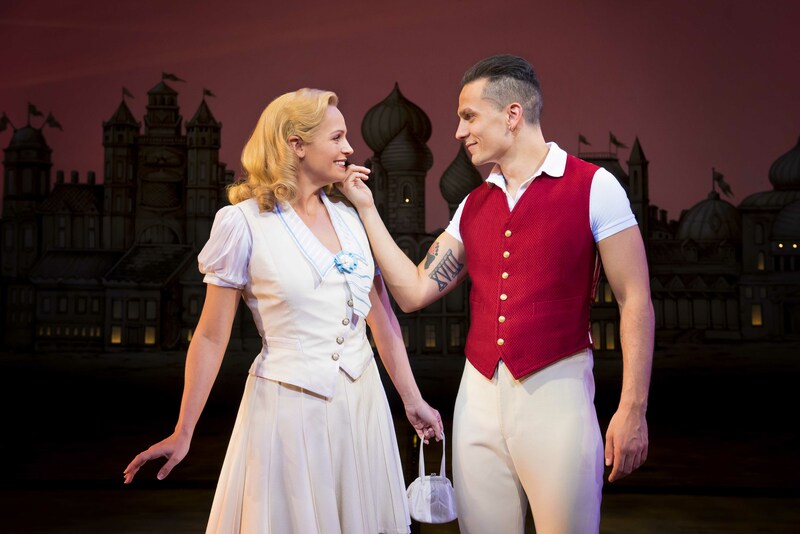 In this performance of Wicked Amy Ross plays Elphaba, Helen Woolf is Glinda, Aaron Sidwell is Fiyero. Amy’s voice is superb and Elphaba and Glinda have some fantastic duets like ‘Popular’ and ‘Defying Gravity’. What can I say about Glinda? You love her, hate her and she cracks you up with her hair flicks – ‘Toss, toss!’. 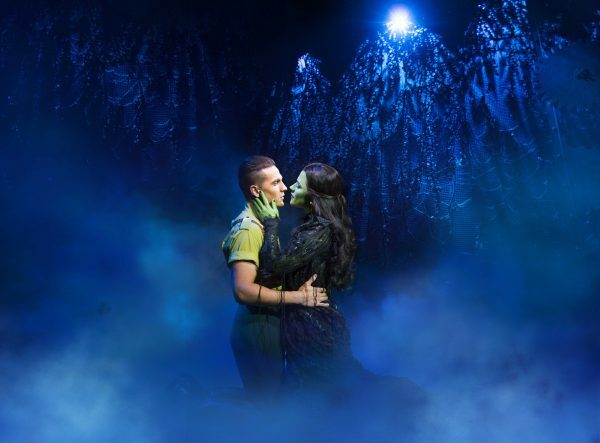 Aaron’s voice works well with both witches during their duets, he makes a great Fiyero and his stand out song has to be a duet he performs with Elphaba called ‘As Long As You’re Mine”. Steven Pinder is The Wizard and Doctor Dillamond, Kim Ismay is Madame Morrible, Emily Shaw is Nessarose and Iddon Jones is Boq. 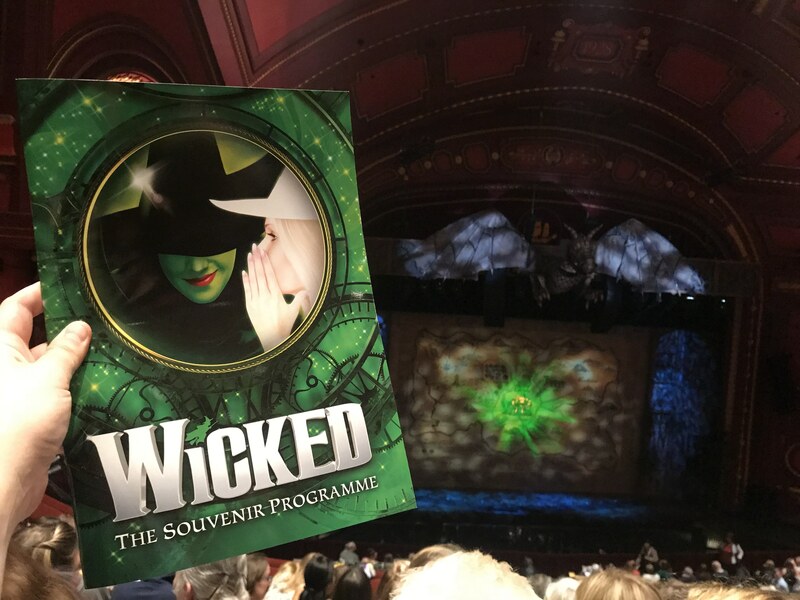 All give fantastic performances, it is an extremely strong and exceptional cast, I can now see why Wicked has just celebrated ts 12th birthday and continues an open-ended run. I’m not a big musical theatre fan but the attention to detail, a fabulously uplifting story and stellar performances make it so enthralling – you get really caught up in the plot. The fabulous set and flying monkeys! I’m a sucker for a decent costume and set. At school a friend and I revelled in all things set design. I’d live for when the annual drama week came around and we could devote seven days to creating dreamy and dramatic sets for the show we’d put on. Sets have the ability to draw you into another world. 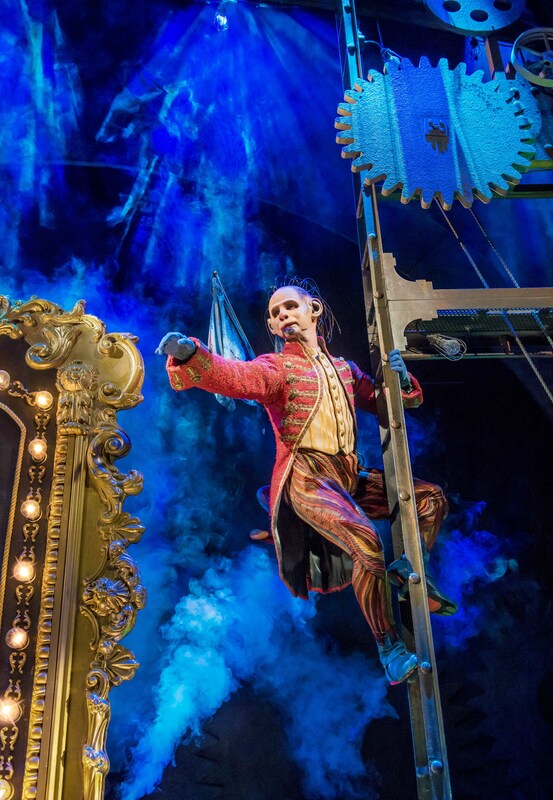 Wicked has an exceptional set with features based on time, clock cogs feature heavily throughout the production’s scenery. It works on many levels from the physical time changes in the story to the mechanics of The Wizard. At one stage the set and costumes combine as Elphaba’s cape becomes a part of the set. It’s really impressive! Much like the cast and set, the costumes are equally as good. The costumes also seem to represent character growth and go from plain to elaborate over the course of the show. Good and evil are also visually represented by Glinda in lighter colours and Elphaba in darker colours and black. A lot of thought has gone into every element of the show. 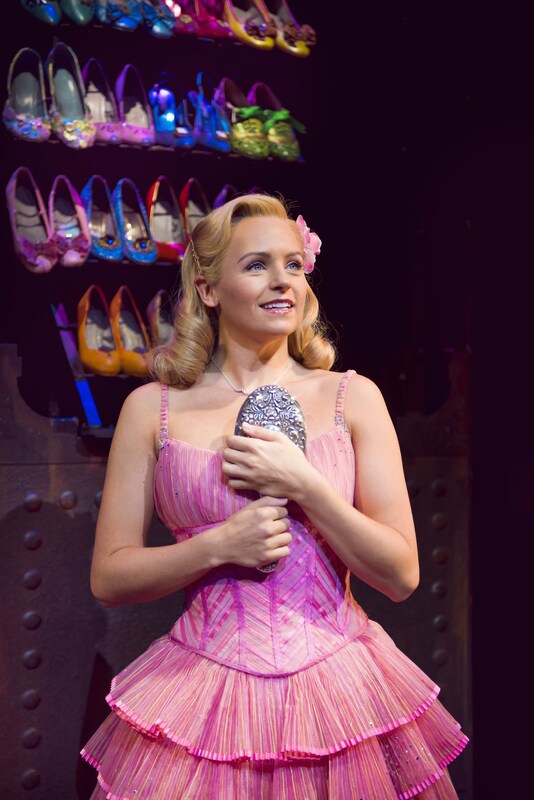 Glinda’s glittery costume had the wow factor! 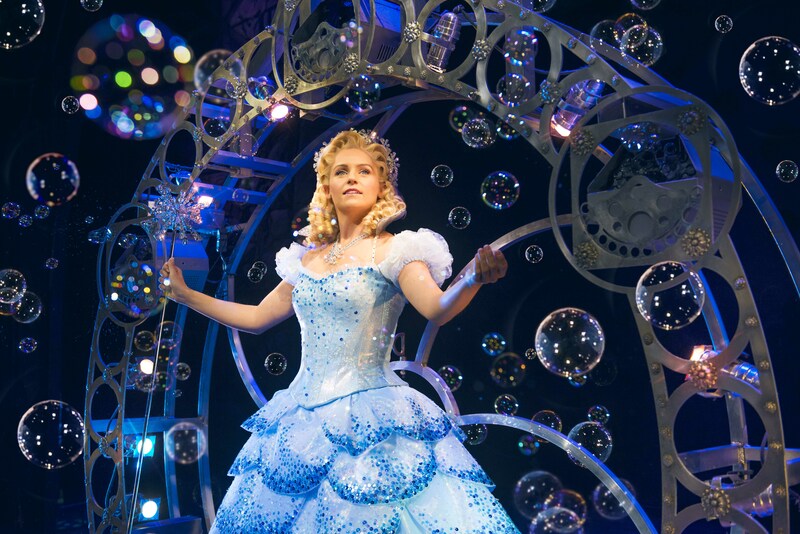 Glinda, the good witch, goes from mini dresses to big glittery ball gowns and Elphaba’s plain pinafores turn into beautiful structured dresses. Elphaba’s first costumes are very plain. 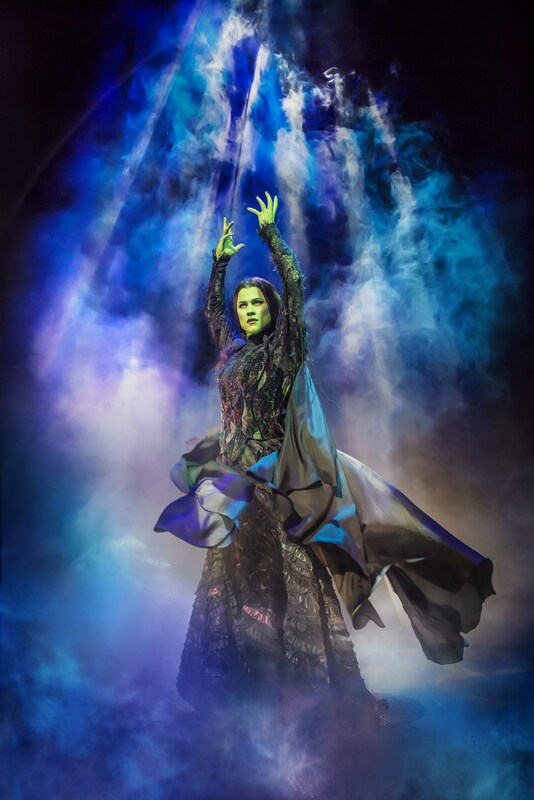 Elphaba’s last outfit was a beautifully embellished black full length gown covered in sparkles and ruffles – totally fabulous! Like I said earlier I’m not a big musical theatre fan but this show is truly impressive and very entertaining. It totally won me over as it carefully balances the songs with the drama, and comedy while raising some serious issues about friendship, circumstance and judgement. I knew nothing about the story so every twist and turn was a surprise. 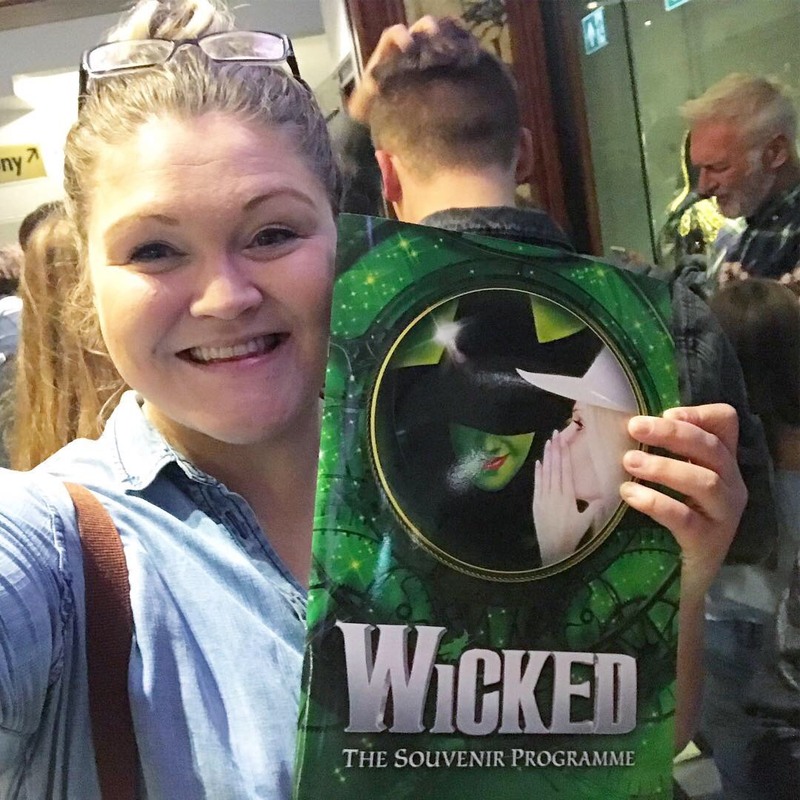 I left Wicked on a high and found myself humming the songs for the whole of the next day. I also thought this was the perfect show to see in October around Halloween! 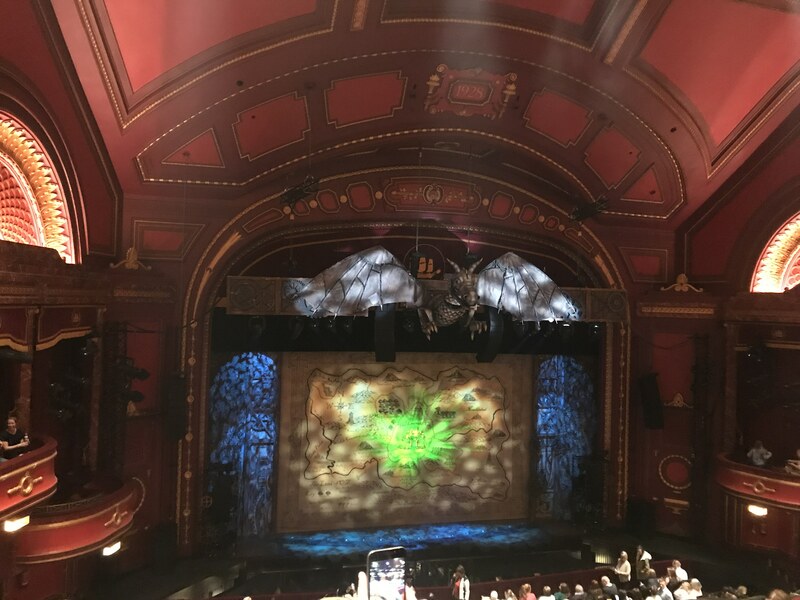 Wicked is at the Mayflower until 27 October 2018 and I’d grab a ticket before they go, this uplifting heart-warming show is not to be missed! *Gifted PR Experience – BUT, all opinions are my own, otherwise what’s the point?! 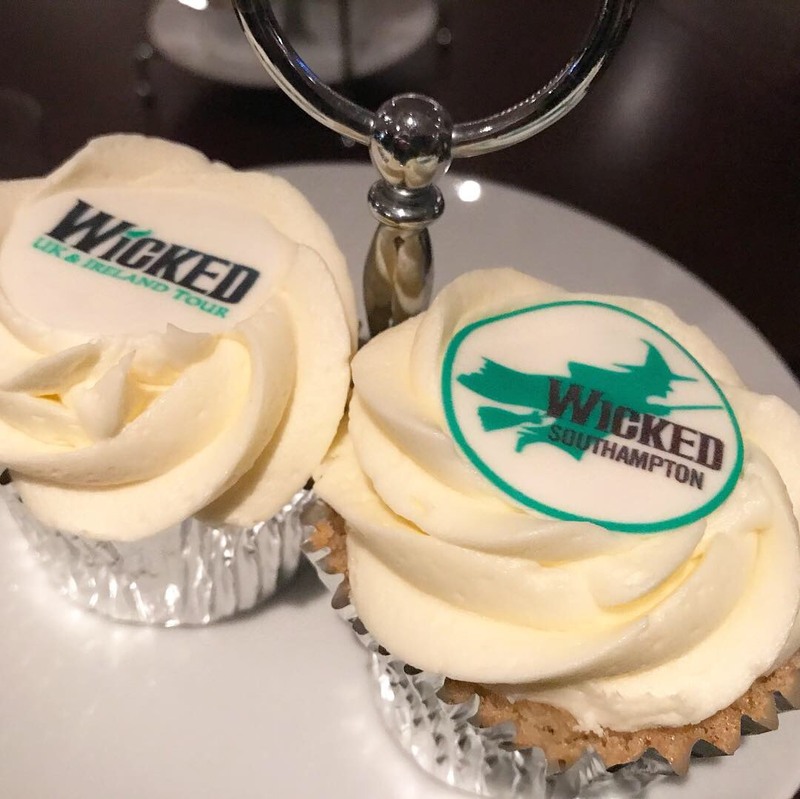 A big thank you to Mayflower Theatre and Southampton Bloggers for tickets to Wicked. Ahhh I’d love to see Wicked, looks like such an amazing show! The theatre is sooo beautiful, I can’t imagine it ever being cramped & green-colored lol. Also, that’s so nice they gave cupcakes during intermission! I’ve never gotten free treats during a musical! It’s hard to imagine what the theatre used to look like! It’s so gorgeous now! I hope Wicked comes to Las Vegas Broadway someday! 😀 Sounds amazing!